On April 28th at 10AM + 12PM, there will be a Floral Yoga Pop-Up. It’s all happening at 1458 San Bruno Ave. in San Francisco. Spring is here, and so is the opportunity to fully bloom! 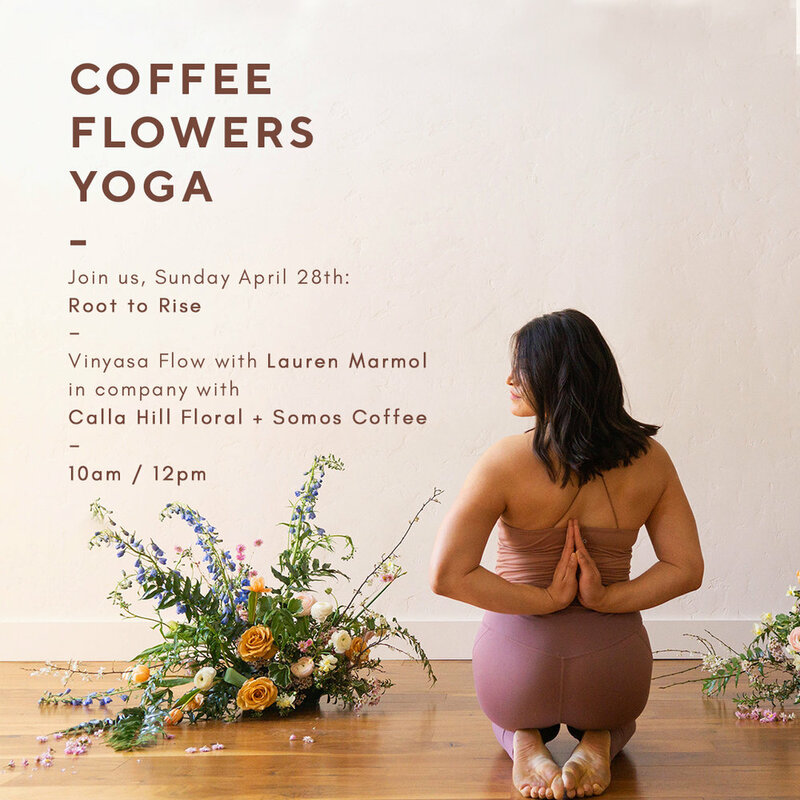 Join Lauren Marmol, Calla Hill Floral and Somos Coffee for a pop up experience unique to the season. This will be a 75-minute Vinyasa Flow that will sync breathe and movement, to build heat. You will move through fluid postures to open hips and shoulders. You can expect to sweat, invigorate, and feel uplifted. This class will be taught in a space designed to bring your practice "amongst the flowers," followed by freshly brewed espresso drinks in the garden.